This book is an exploration of Django, which is a Python framework used for the development of web apps. This book provides you with an explanation of what the framework is and its relationship to Python. The first chapter guides you on how to set up the environment ready for programming with Django. The Admin Interface in Django will also be discussed. After reading, you will learn how to set up, launch and use this interface. This book also guides you as to how to create views in Django. The process of URL mapping, models in Django, and how to perform page redirection will also be discussed in this book. The various ways to send E-mails in Django will also be covered. Generic views as well as form processing will also be discussed in detail, as well as the processes for handling both cookies and sessions. 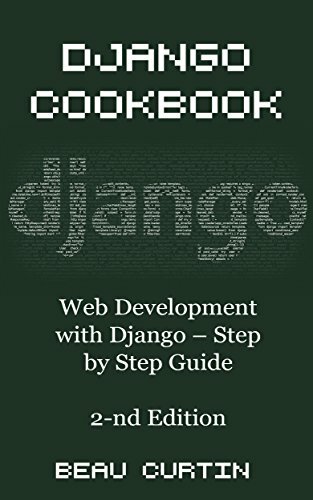 Download your copy of " h1 Django Cookbook " by scrolling up and clicking "Buy Now With 1-Click" button.